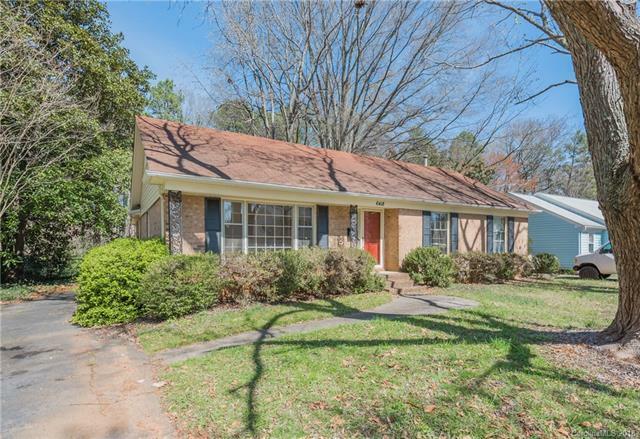 6418 Farmingdale Drive, Charlotte, NC 28212 (#3369556) :: Robert Greene Real Estate, Inc.
Great opportunity to purchase in Coventry Woods for under $200k. Close proximity to Uptown Charlotte, Midwood, The Arts District & Elizabeth. This subdivision is appreciating and now is the time to buy. New interior paint. Kitchen offers white cabinets and SS appliances. Updated vanity in bathroom. Bathrooms have updated faucets, tile floors and white tile surround in shower. Kitchen opens to den/living room and offers brick masonry fireplace. Hardwood floors through out. Charming home with great curb appeal. Mature trees. Must see!